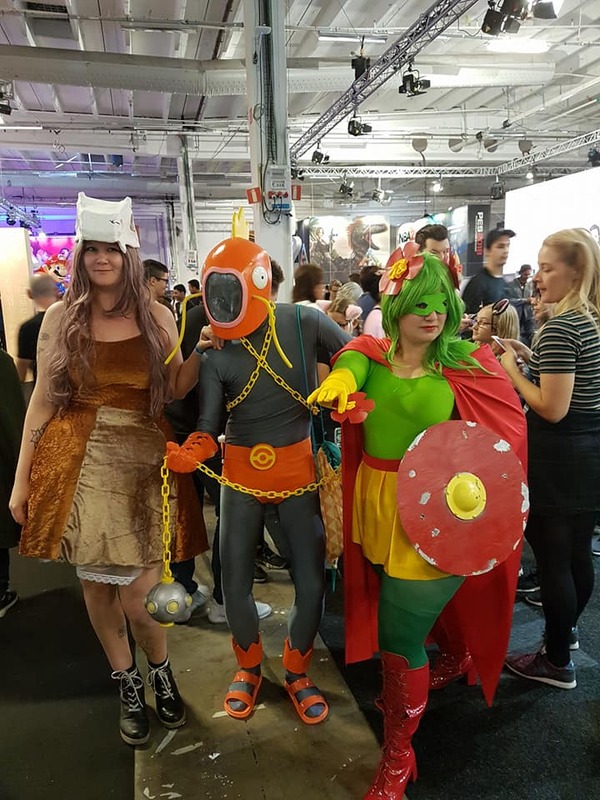 Last weekend it was Stockholm ComicCon. I managed to go there and not take a single photo during the whole con (Fri-Sun). 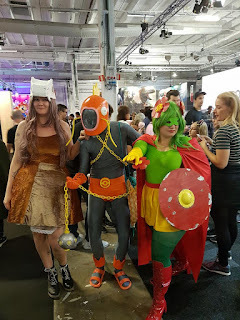 The main reason was simply that none of my costumes had any pockets, and unlike for example NärCon I didn't just walk around with a friend and talk to people. I was mostly just in the Nordic Legions stand, the cosplay parade or posing with Tom from Cosplay Dalarna in our Superhero project. I was already set on doing my Bellossom cosplay, so of course I wanted to do a superhero Bellossom as well. In the end I didn't use any elements from my first costume for this superhero costume though. Dressing up as superhero was a challenge though. I am plussized, and on the BMI charts I probably count as obese, and now I decided to go for a classic 1960's spandex style superhero. It didn't get better when I managed to cut my skirt a bit shorter than planned, so it almost didn't cover my bum. In the end I had a lot of fun though, and it was a really comfy costume. I don't think anyone that saw me without my Magikarp partner understood that I was a pokemon though. 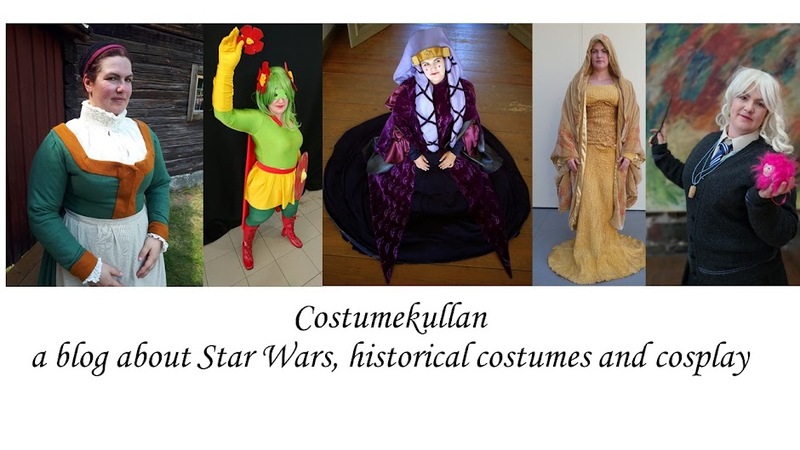 The only SW costume I brought with me was Mon Mothma, but I used my other wig for it. I really liked this wig for the style and fit, it really looked naturally, but the colour is a bit too Brown. I would love to have the same style, but the colour of the other Mon Mothma wig. I really liked having the Mandalorians fully integrated within the Nordic Legions. On Sunday we also did a small Bounty hunt, when they were searching for me throughout the Convention. It's easier to find a jedi with a lightsabre than a short woman in brown hair, so I almost had to give myself up for them to find me though. Me and Jenny also got interviewed by the Swedish tabloid Expressen about our costumes and what the Nordic Legions do.